From the First SAF-Scout Friendship Camp in Bhutan, it was 550 girls and boys who attended. In the second camp in Maldives, it was 180 young people. The third camp in Nepal, 422 young boys and girls. The fourth camp in Sri Lanka, 161. There are now more than 1,500 young people who are working for peace and regional cooperation in South Asia. 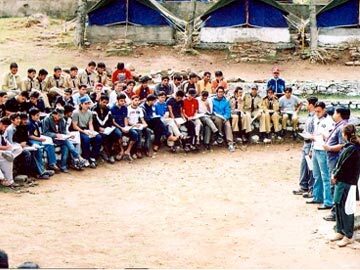 The 5th SAF-Scout Friendship Camp was held for seven days from 4th to 10th June 2007 in Ghora Gali, Murree, Pakistan. With a theme of “Sharing Youth Potential for Development,” it was attended by 244 participants, including 147 overseas participants, from the countries of South Asia – Afghanistan, Bangladesh, Bhutan, India, Maldives, Nepal, Pakistan and Sri Lanka. The camp was inaugurated by the Chief Commissioner of the Pakistan Boy Scouts Association, Lt. Gen. (R) Javed Ashraf, who is also the Federal Minister of Education. Now that the SAF-Scout Friendship Camp has aged with experience, there are now four major features in every SAF-Scout Friendship Camp – the youth forum, the discoveries, the life skills workshop, and the cultural exhibition and exchange, which included educational tour. 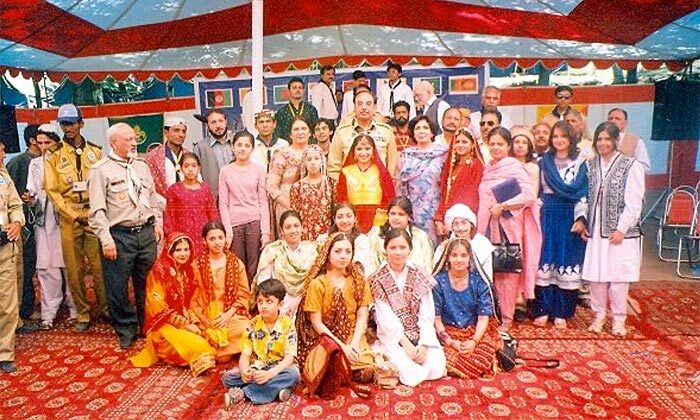 This particular camp is unique because for the first time, it was attended by girls, who are official members of Pakistan Boy Scouts Association. The Pakistan Girl Guides Association joined the camp as participants. That we will contribute in achieving the Millennium Development Goals (MGDs), though active participation in the Scouts of the World Award. The Asia-Pacific Regional Office of the World Organization of the Scout Movement for their direct involvement in the camp, ensuring that the educational objectives of the camp are achieved. The youth forum is organized to provide young people with a learning environment through discussions on interesting topics. The youth forum also teaches young people the dynamics of sharing and listening with each other. This camp has pre-selected three topics, namely,  Contribution of youth to regional understanding;  Scouting and society; and Youth and development. There was a short input in every topic and then the participants break into small groups and discuss among each other, under the leadership of a Group Leader. After a lengthy discussion among the hills of Ghora Gali, they come back and share in the ‘plenary’ what they have discussed in the small groups. From the group discussions, these young people agreed that young people in SAARC countries are badly indulging in drugs. They have also identified several reason for this problem and arrived at a common solution of drug awareness. These young people has also identified lack of education and low literacy rate as one of the major problems in South Asia. However, they say that it can minimize by making individual efforts. They also identified that there is lack of harmony among people and this can also be reolve by self-awareness and understanding of others. The Discoveries was one of the highlights of the camp. This programme was based on the “Scouts of the World Award” which recognizes young people’s contribution to achieving the Millennium Development Goals (MDGs). During this programme, a resource speaker Mr. Saleem Baig from UNFPA made an input on the MDGs and after that, participants were able to explore the near-by places of the camp. Young people were able to gather first hand information on the situation of the local people vis-à-vis the Millennium Development Goals. A hike was arranged for boys, where they passed through and visited a Forest College and finally reaching the “Syed Ghulam Hussain Government Sanitarium,” which is popularly know in the area as “Samly Sanatorium,” having a capacity of 200 beds for patients with tuberculosis (T.B. ), both male and female (including children). A lady doctor briefed the participants. A separate hike was arranged for girls and girl scouts. They visited NUMB village consisted 5000 people about 15 Kms away from camp. They met with the ladies of the household, visited a primary school. Participants observed the basic health and educational facilities being provided to the villagers. With the Discoveries, they were also able to relate what they saw with the issues that affect their society back home. A brief but concise workshop on four core life skills was organized, namely: Self-awareness, Decision-making, and Conflict resolution. Ms. Sonam Yangden of Bhutan Scouts Association conducted a workshop on decision-making; Mr. Parsuram Dhital of Bhutan Scouts Association did a workshop on problem-solving; Mr. Zahid Mahboob of Pakistan Boy Scouts Association handled stress management; and Syd Castillo of the Asia-Pacific Regional Office of the World Scout Bureau talked about self-awareness. The participants appreciated this learning experience since many of them expressed that these workshop served as eye-opener for them. The participants had an opportunity to visit the Pakistan's new National Monument was built in the Shakarparian Hills national monument and the Shah Faisal Mosque is situated at the end of Shaharah-e-Islamabad, against the backdrop of the picturesque Margalla Hills. The cultural exchange was the most colourful part of the camp. 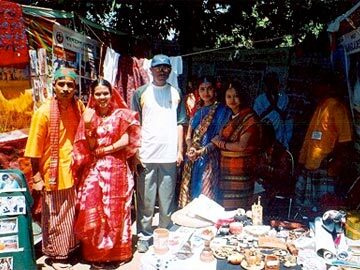 Each country prepared a booth rich with pictures, handicraft, food samples and artifacts. Participants were wearing their national costumes and it was a big photo opportunity for all, including the village people who visited the cultural display. In briefing about the next SAF Scout Camp, and as previously decided it was announced that Bangladesh will host the event and details were given by the Chief Commissioner Mr. Fazlur Rahman. He said that the next SAF Scout Friendship camp will be held from 10th - 18th October 2008 together with the Chief Commissioners meeting and the venue will be Mouchak National Training Centre. He invited every one to visit Bangladesh for the event.